– You must follow Bryan Kluger on Twitter (so we can contact the winners) by clicking HERE. Please note the winners must reside within the U.S. and provide a home shipping address (no P.O. Box). Task Force X: One Team, One Mission (HD, 23 Mins.) 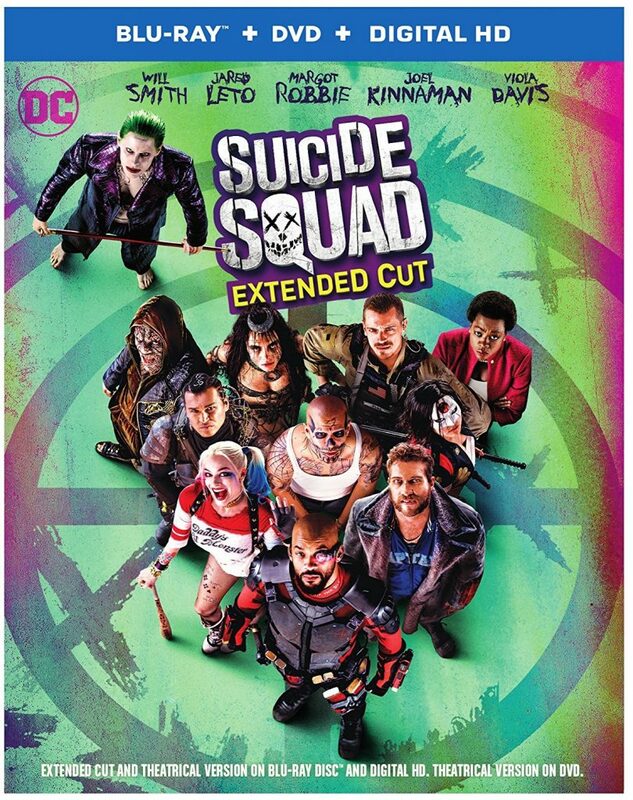 – The filmmaker, cast and DC Comics writers discuss the origin of the Suicide Squad in comic book form and how they transitioned to the big screen. – The crew of the film talk about how the film used realistic elements to transcribe the superhero aspect and fantasy of the comic books. Joker and Harley: ‘It’ Couple of the Underworld (HD, 15 Mins.) – Jared Leto, Margot Robbie, and David Ayer talk about their versions and characters based off the comic book icons. Squad Strength and Skills (HD, 9 Mins.) – The stunts are given a look here, which are quite impressive and worth watching. Armed to the Teeth (HD, 12 Mins.) – All of the weapons, guns, and props are discussed here with how they were made and them in use. This is Gonna Get Loud: The Epic Battles of ‘Suicide Squad’ (HD, 11 Mins.) – This extra focuses on staging, rehearsing, and getting all of the fight scenes just right for film. The Squad Declassified (HD, 5 Mins.) – All of the characters except Diablo get a short synopsis that talks about the traits and weapons. Gag Reel (HD, 2 Mins.) – Missed cues, flubbed lines, and Will Smith sneezing and ruining takes. This entry was posted on Wednesday, December 14th, 2016 at 2:12 pm	and is filed under Film, News. You can follow any responses to this entry through the RSS 2.0 feed. You can skip to the end and leave a response. Pinging is currently not allowed. « Film Review: ‘LA LA LAND’!